RALEIGH, NC – Superhero Ron Hines will be there when Over the Edge comes to Raleigh for Special Olympics North Carolina on Friday and Saturday, Sept. 30-Oct.1, 2016. However, Ron will not be in the spotlight and will not rappel the Wells Fargo Capitol Center – one of the state’s tallest buildings. 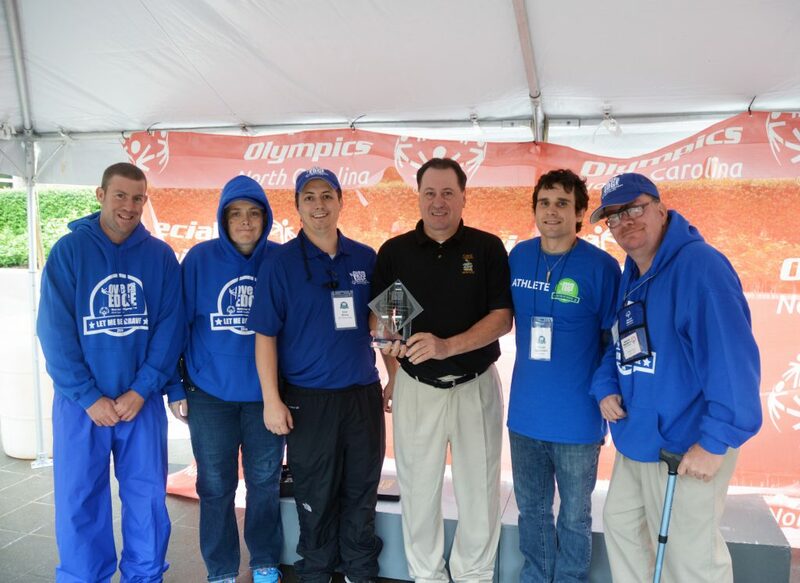 Instead, for the seventh year in a row, Ron and his crew will be wrapping up their annual one-dollar cookie campaign raising over $150,000 over six years for Special Olympics. 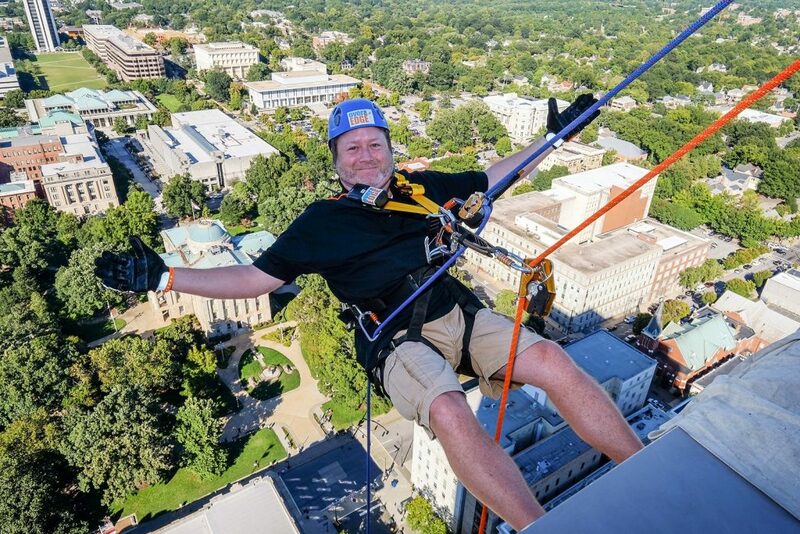 Attracting thrill-seekers and high-flyers from across North Carolina, Over the Edge will provide an extreme 30-story descent with scenic and historic views from the heart of the capital city. Registration is now open at www.overtheedgenc.com. The cookie campaign, appropriately named A Sweet Way to Help, heats up Aug. 29, and continues until rappelling activities end on Saturday, Oct. 1. 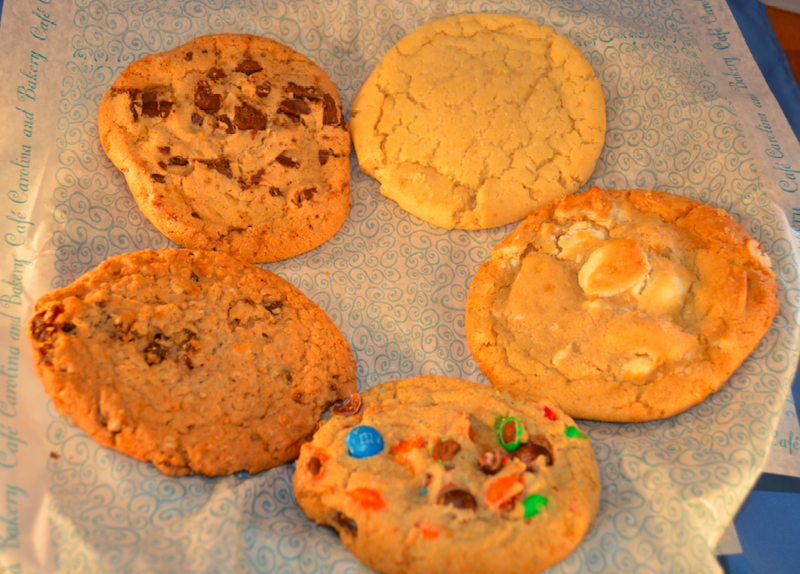 The one-dollar fresh-baked and oversized treats will be at all four Café Carolina and Bakery locations in Raleigh, Cary, and Chapel Hill. Hines’ outreach to people with special needs is a year-round and daily commitment. All locations of Café Carolina and Bakery employ, train, and retain the disabled. “Trained at a specific task, there are opportunities to find unbelievably qualified and gifted special needs people who have unique abilities,” said Hines. “In certain cases, when looking at specific jobs in our industry, special needs individuals have certain innate characteristics that outperform highly functioning individuals,” said Hines. Over the Edge raised $177,000 in 2015. Raleigh sponsors included Spectrum Properties, Sport Clips, Café Carolina and Bakery, and HUB International/RPG Solutions. 2016’s top fundraiser will receive an extended weekend mini-vacation from Blockade Runner Beach Resort in Wrightsville Beach.